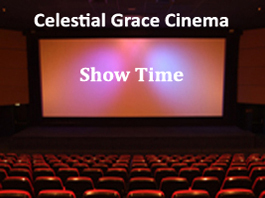 Celestial Grace Temple offers a video viewing library that contains a unique collection of videos and movies specifically about Jesus Christ. These videos and movies can be a wonderful and entertaining way to learn about Jesus, biblical history, faith, and spiritual awareness. During the time Jesus was on Earth, He taught spiritual wisdom to thousands of people. 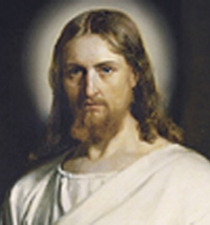 Now, through these videos, and by carefully viewing them, you have a unique opportunity to learn the wisdom offered by Jesus Christ. Each video has a hyperlink displayed directly below the video screen to biblical scripture, so you can read and specifically know what Bible verses support the activity depicted in the videos. It is recommended these videos be viewed over several times, so you can gain a thorough understanding of the portrayed events, and the wisdom being offered by Jesus. The understanding of God and Jesus Christ takes a lot of study and research. We encourage anyone that has a desire to increase their spiritual wisdom to also study the Bible and other theological sources of information. Please note that these videos and movies are configured in mp4 format for your viewing pleasure. A video movie can be streamed from different browsers, such as: Internet Explorer, Chrome, Firefox, Safari and others as well as from various viewing devices: Desktop and Laptop Computers and a variety of Mobile Phones and Hand Held Devices. Not all browsers or devices support mp4 video streaming, therefore, some devices may require a special app to stream an mp4 video. Most browsers, however, are configured to stream mp4 formatted videos without the need of an additional app. If an app or add-on is needed, you can usually download it free from one of several websites, just do a goggle search and you should find it quickly. Please note, Chrome is the recommend Browser to use to stream videos. If you are using a Notebook or Mobile Device with Android, you will need an Android Video Player App. Please note that video movies usually have a large file size, and because of this, in some cases, it may take several moments for the movie file to load and start streaming after clicking on the play button, (especially on mobile, hand-held devices that have slower internet access speeds). To view the full length movies without intermittent pauses, a high speed DSL internet connection is recommended.